For all its faults, Cancun does one thing exceptionally well: party all night until the sun comes up. From all out experiences like Coco Bongo that assaults your senses with a variety of dancers and table service with top shelf bottles of booze, to traditional clubs where you can groove all night to the latest top 40 trance, house and dance hits, Cancun’s got what you need. One experience that is practically obligatory: go to Senor Frog’s and get a picture proving you were there. Your more elite traveler friends might roll their eyes, but life is too short too be so serious! While some folks pan this place for having a ton of all-inclusive resorts in and around town, the truth of the matter is that Playa del Carmen is a more authentically Mexican experience than the segregated sand bar that is the Hotel Zone in Cancun, and the hippie bubble that defines the scene in the Tulum area. In Playa, you can spend time at the beach for part of the day, then head back a few blocks and find yourself in the Mexican part of town, taquerias and all. Not only this, but staying in Playa del Carmen puts you within spitting distance of attractions like Xcaret!, Rio Secreto, and a short-ish trip to Tulum and back. All in all, a solid place. Into yoga, dreads and separating yourself from the 1% that crowd places further north? If so, Tulum is the ideal spot for you. 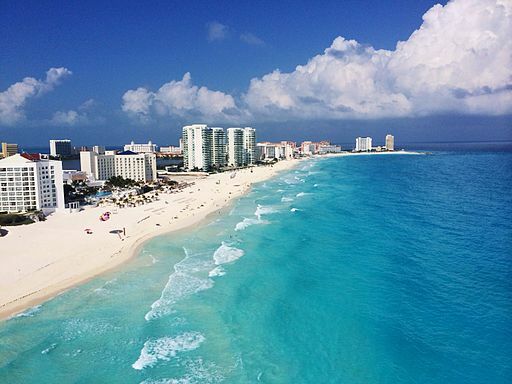 With only 15,000 people here as opposed to 200,000 and 750,000 in Playa del Carmen and Cancun respectively, you’ll have a chance to find your peace in this much more manageable town. Yes, the ruin complex gets crowded with tour buses, but early in the morning and later in the afternoon, you’ll have it all to yourself, and by evening, the emptiness of the place will make your pursuit of Nirvana all the easier to attain.